If you need to arrange shipping beginning, ending or within the state of Maryland, then FRC Logistics can help. Freight Rate Central can arrange for truckload, less-than-truckload and specialized shipping services throughout the US, and we offer all our current and potential customers access to an online quotation system that can provide free, instant, accurate quotes for most shipments. FRC Logistics works with Maryland trucking companies and the Maryland DOT to bring our clients a full range of freight shipping services. We can arrange for shared truckloads and we can source specialized vehicles such as stretch flatbed trailers and refrigerated vans for any type of shipping that you may require. We regularly handle the logistics for oversized, overweight and over dimensional loads and can make all the necessary arrangements with the Maryland Department of Transport. We can offer the lowest prices in the business because we have low overhead and we have negotiated low rates with thousands of carriers nationwide. Maryland is a densely populated state in a densely populated part of the country, so it is well served by interstate highways such as the I-68 and the I-95. Traffic in Maryland can be heavy, and good logistics and planning are especially important in Maryland trucking. Maryland’s adjacency to Washington DC has had a huge effect on its economy. Defense and biotech are important industries in Maryland, and Maryland produces both high tech products like electronics and chemicals and traditional products like coal and steel. FRC Logistics serves clients with a wide variety of specialized shipping requirements in the state of Maryland. For example, Maryland electronics companies may require temperature-controlled shipments of fragile electronic components, while Maryland steel fabricators sometimes need special provisions for over weight, over dimensional structural steel columns and girders. Maryland ships most of its goods to other New England states: Virginia, Pennsylvania, New York, New Jersey, Delaware and of course, D.C. Some Maryland freight is headed for Atlantic ports, particularly the Port of Baltimore on the Chesapeake Bay, which is also a common destination for out-of-state freight. Cross country shipments are not uncommon, with California and Texas as common destinations. The vast majority of Maryland goods are shipped by truck, and that’s why Maryland trucking is such an important industry. In Maryland, loads over 120’-0” long, 110,000 pounds, 13’-0” in width or 16’-0” in height require pilot cars. 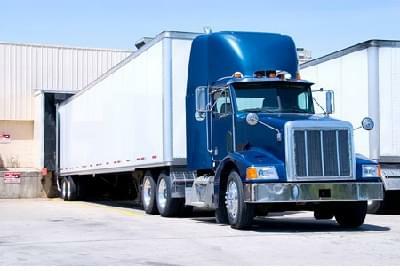 Permits are routinely issued for freight up to 16’-0” in width. There are limits on the hours of travel for oversize loads and heavy haul loads, and some areas have freight shipping restrictions during rush hours.